SVN Rock Advisors offers strategic apartment leasing & marketing services for purpose built apartments. Marketing begins while a purpose built apartment development is still on the drawing board and does not end until the asset is in disposition. In the multifamily apartment business, developers cannot create a market where one does not already exist. On the contrary, their foremost objective is to identify the specific market segment for which more apartments are needed and then to design the best possible apartments to serve that need. Marketing is the process of finding the renters and then attracting them to the apartments at a time when they are in a position to make a housing decision. Insufficient pre-development market research can result in an purpose built apartment development that has been built for a specific market but does not appeal to that market although almost any apartment will rent at a low enough price. The life cycle of property management has three stages: leasing up the property, stabilizing income, and positioning the property for sale. The third stage usually involves a different management approach from the first two. SVN’s Market Analysis is vital not only for pre-development feasibility studies but also throughout the life of apartment development. The ongoing market analysis assesses the accuracy of the original analysis of the target market and identifies any necessary changes in market projections, rents, and even the target market itself. Typically, 12 to 36 months elapse from completion of the first market study to the leasing of a project, and, in the interim, significant changes may have occurred in the market. The developer must continuously monitor the market, especially by watching neighbouring projects, to remain up-to-date on current rental activity, rental rates, concessions, and preferred physical characteristics and amenities. Changing the market strategy midstream can increase construction and operating costs, but failing to respond to market changes can leave much money on the table. Apartment Rental Pricing Strategies: Which are you using? 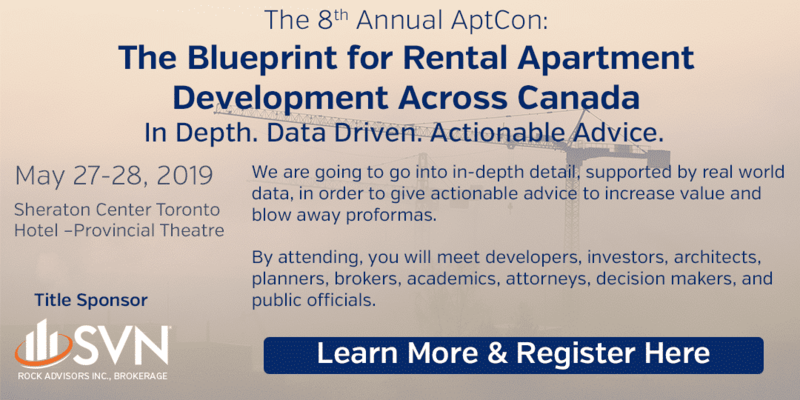 Purpose Built Apartment Rental Pricing Strategies. When can an apartment building be like an airplane? When you set prices to fill the available spots. Dynamic pricing is increasingly used to achieve the optimum sales at any given time. Airlines have been selling seats in this fashion for decades, and a recent study showed that Amazon tweaked its day-to-day prices three million. The purpose built apartment industry can seem to outsiders to be a conservative business. Landlords price rents to fill and keep vacancy rates low and net operating income high. But the apartment industry is more complicated than that, and apartment owners and developers often set rents differently depending on current conditions and local factors. For example, a REIT owning a large portfolio in Toronto may focus on keeping rents competitive to ensure low vacancy rates, knowing that even a percentage-point increase in their vacancy rate could have serious consequences on their cash flow. Meanwhile, an apartment developer in Mississauga, hoping to grow rents at their luxury properties, may accept higher vacancy rates until the apartments find the residents they are looking for. A landlord’s approach to dynamic rental pricing depends on their personality, their investment goals, their appetite for risk, and the reality of the marketplace around them. In the purpose-built rental apartment industry, there are five standard archetypes.